I am not surprised when a national magazine has chosen singer - actress Sarah Geronimo as Yes! Magazine's Most Beautiful Star this 2014. She is one now of the ranks of Judy Ann Santos, Marianne Rivera, John Lloyd Cruz among the few who was chosen for the total package. Sarah who started her career after winning from a local singing competition had captured the hearts of most Filipinos and with her humble personality in spite of her grand talents, I say, she quite deserves the title. 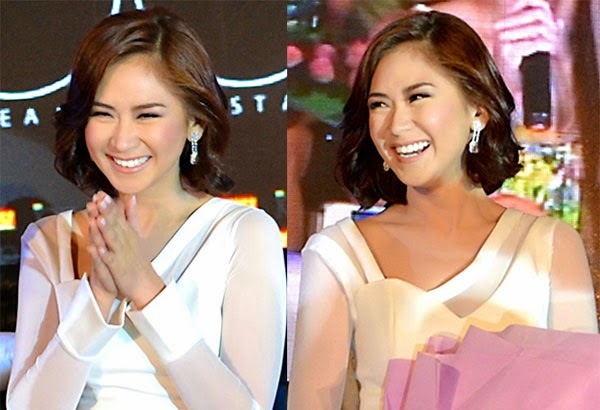 I first wrote a blog article about Sarah Geronimo when she had her first concert in General Santos City. And, she is indeed a great performer. Other winners include Heart Evangelista, Iza Calzado, Daniel Padilla, Jericho Rosales, Gary Valenciano, Drew Arellano and Iya Villania.